Beekeepers in the province are facing a tough season, as an especially bad year for wasps accounted for huge losses in some areas, while mites, viruses, and other issues — which routinely take a toll over winter — still haven't been accounted for. 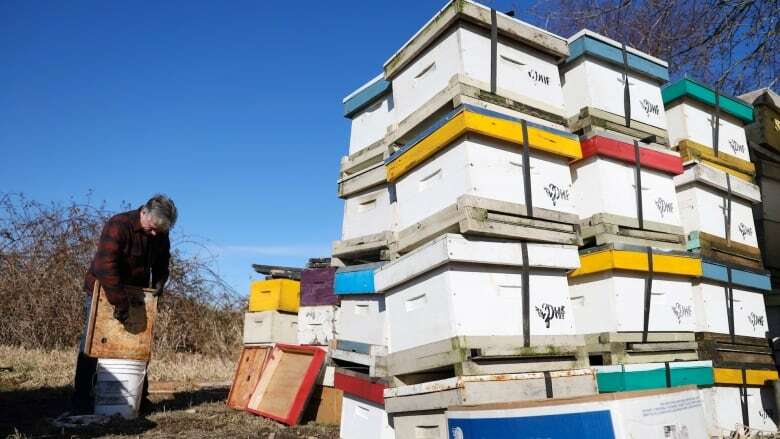 It was late September when commercial beekeeper Mike Munro was checking on his hives in Delta, and giving the bees some food. It was getting cool in the evenings, but the days were still warm and it was awhile before he would close up the hives for winter. But what Munro discovered at his hives was a melee — a bee massacre. Wasps had killed off a third of his hives. "There was just wasps all over the place ... way more than I've ever seen before," he said. "I mean it's just — it's horrible." "And it just seemed to be like that for every hive that I went to," said Munro. Munro is co-owner of a pollinator company. It makes honey, but the main purpose of its 300 hives is to rent them to local farmers to pollinate crops, such as blueberries and cranberries, in order to produce fruit. According to a 2016 report, bees contribute nearly half a billion dollars to the B.C. economy each year — most of that in pollination services. After the wasps finished their attacks on Munro's bees, at least 100 of the colonies — each with about 50,000 bees — had been wiped out. Hive after hive was littered with the severed body parts of honey bees and the carcasses of the wasps that died in the attack. Across the province in Creston, after a productive honey harvest in the summer, beekeeper Jeff Lee's experience was even more dramatic. Of his 500 colonies, Lee said by the end of October, 70 per cent had been wiped out. Again, yellow jacket wasps were largely to blame, but some of the hive die-offs were more mysterious and samples have been sent to agricultural officials. "My initial reaction was, were we bad beekeepers? Did we do something wrong?" said Lee. "You know this is our entire income." Beekeepers have had different results around the province. According to Kerry Clark, president of the B.C. Honey Producers Association, Lee and Munro's situations are on the extreme end of the spectrum, but wasps have been a major problem all over the place. "I do think it's related to warm weather," said Clark, adding wasps numbers were high last spring and remained so until fall when they descended on the bees. B.C. 's chief apiculturalist, Paul van Westendorp, acknowledged that wasps have been a problem this year, but he said in most areas, they won't cause nearly as many colony die-offs as mites and viruses. 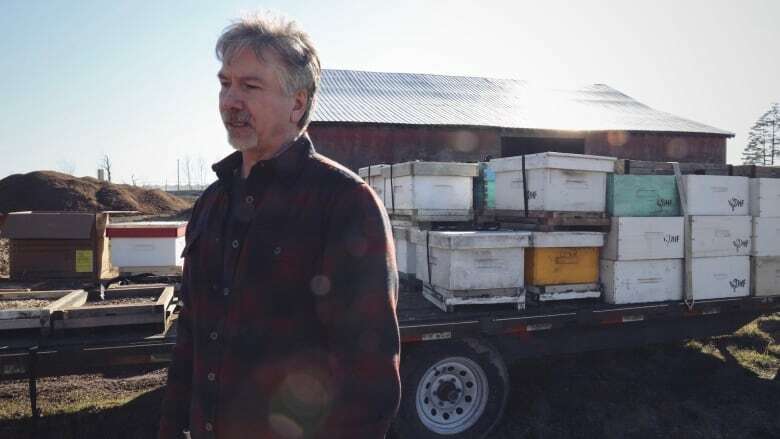 "If I look at the province-wide situation, wasps are playing a big role, but [they're] not the principal cause for the death of a lot of colonies," said Westendorp. 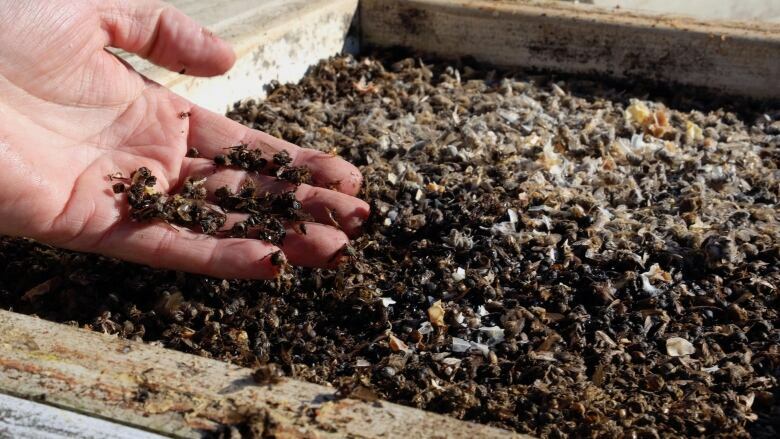 Westendorp said the true scale of the winter's bee die-off won't be known until the weather gets warm enough for beekeepers to open their hives and report to the agriculture ministry. The losses described by Lee and Munro don't take into account the hives that won't survive the winter. But their thoughts have already turned to the spring, and the commitments they've made to farmers who need crops pollinated. 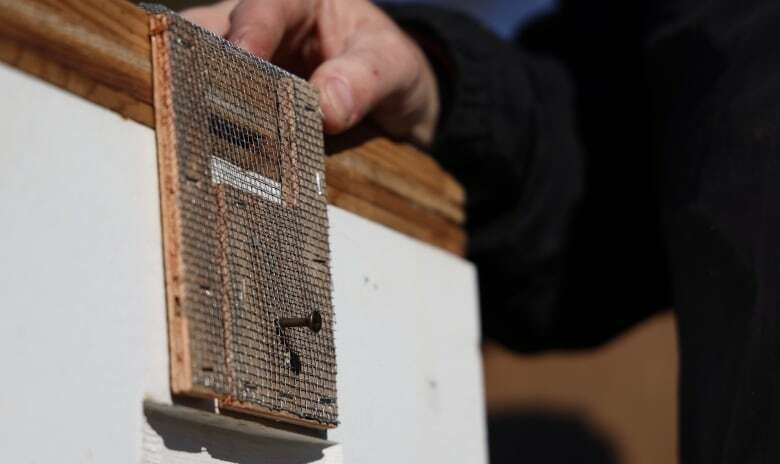 Each dead hive will have to be replaced with a "package" — a box full of bees with a queen from the southern hemisphere. Munro is getting his from Tasmania, for about $200 each. For Lee, the loss has forced him to take out a mortgage on his home. "We're facing a bill this spring of about $60,000," he said. 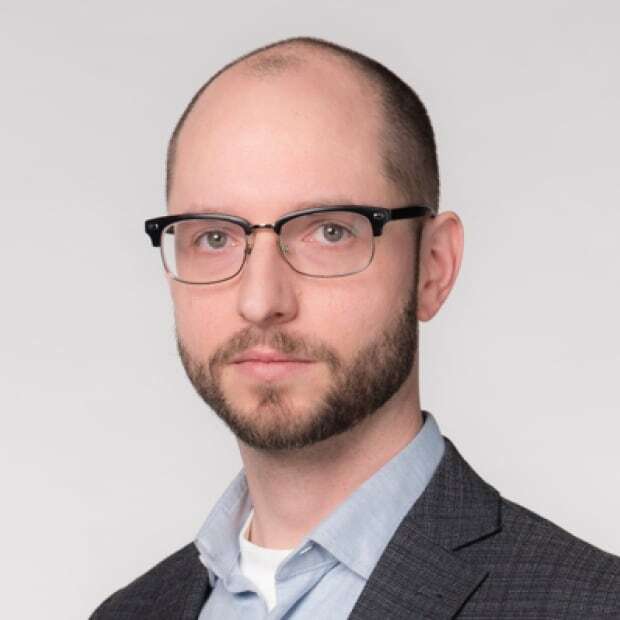 "This one's way off the scale — and from an emotional point of view from a personal financial point of view ... it really hurts."